The word “Diwali” is a corruption of the Sanskrit word “Deepavali” (also transliterated as “Dipavali”). Deepa/dipa means “light of the dharma”, and avali means “a continuous line”. The more literal translation is “rows of clay lamps”. Diwali is one of the most popular and colorful festivals in India. Better known as Deepavali or the festival of lights, Diwali is a nocturnal celebration embraced by Hindus, Sikhs, Buddhists and Jains across the country. It unifies every religion, every home, and every heart and India transcends into a land of myriad lamps. In Hinduism, Diwali marks the return of Lord Rama to his kingdom of Ayodhya (अयोध्या ) after defeating (the demon king) Ravana,( रावण ) , the ruler of Lanka (लंका )in the epic Ramayana. ( रामायण ). It also celebrates the slaying of the demon king Narakasura (नरकासुर ) by Lord Krishna. (कृष्णा ) . 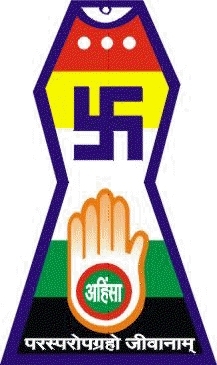 Both signify the victory of good over evil. In Jainism, Diwali marks the attainment of moksha (मोक्ष ) by Mahavira ( महावीर ) in 527 BC.. In Sikhism, Diwali commemorates the return of Guru Har Gobind Ji (गुरु हरगोविंद जी ) to Amritsar after freeing 52 Hindu kings imprisoned in Fort Gwalior by Emperor Jahangir(जहाँगीर ) ; the people lit candles and divas (दीप ) to celebrate his return. Diwali is originally stated in Jain books as the date of the nirvana of Lord Mahavira. The earliest use of the word Diwalior Dipavali appears in Harivamsha Puran ( हरवंश पुराण ) , a Holy Book of Jains , composed by Acharya Jinasena ( आचार्य जिनसेन ) , written in Shaka Samvat (शक -संवत ) 705. In Jainism, Diwali was first referred in Harivamsha Purana written by Acharya Jinasena as dipalika (splendour of lamps). In his words “the gods illuminated Pavagari by lamps to mark the occasion” Since that time, the people of Bharat ( भारत ) celebrate the famous festival of Dipalika to worship the Jinendra (i.e. Lord Mahavira) on the occasion of his nirvana ( निर्वाण ). Diwali has a very special significance in Jainism, just like Buddha Purnima, the date of Buddha’s Nirvana, is for Buddhists and Christmas is for Christians. Diwali in Jainism is the jubilation to commemorate the salvation or Moksha attained the founder and guru Lord Mahavira. On the religious occasion of Diwali on Oct. 15, 527 BCE, on Chaturdashi of Kartika in Pavapuri, Lord Mahavira received his enlightenment to spirituality. He could conquer his desires and was beyond humanity. On this auspicious day his life was transformed into a spiritual journey of self penance and sacrifice.Jain scriptures also mention that one of the ardent disciples of Mahavira, Gandhara Gautam Swami attained complete knowledge kevalgyana ( केवलज्ञान ) on this day thus making Diwali one of the most important Jain festivals. According to the Kalpasutra by Acharya Bhadrabahu, 3rd century BC, many gods were present, illuminating the darkness. The following night was pitch black without the light of the gods or the moon. To symbolically keep the light of their master’s knowledge alive. Deepavali was first mentioned in Jain books as the date of the nirvana of Lord Mahavira. In fact, the oldest reference to Diwali is a related word, dipalikaya or deepalikaya, which occurs in Harivamsha-Purana, written by Acharya Jinasena and composed in the Shaka Samvat era in the year 705. Which means, the gods illuminated Pavanagari (पवागिरी ) by lamps to mark the occasion. Since that time, the people of Bharat celebrate the famous festival of “Dipalika” to worship the Jinendra (i.e. Lord Mahavira) on the occasion of his nirvana. Diwali to Jains, is the occasion to pay tribute to the ardent sacrifice of their Lord Mahavira. The Swetambara faction of Jains observes fasting during the three days of Diwali. The festival usually falls in the month of Kartik (October-November).The devotees sing and chant hymns in praise of their Lord . They recite phrases from the Uttaradhyayan Sutra (holy book of Jains) which contains the last preaching’s of Lord Mahavira. Jains as a religion gives more stress on austerity and simplicity. Unlike other religious practices in India, who celebrate Diwali with lots of fire crackers, noise, songs and dances, Jainism follows a different form of celebration altogether. To them, physical triumph and pomp are just worldly emotions of joy and gratification. So they practise penance during the period. The temples are decorated during this period and there is distribution of sweets among the devotees. 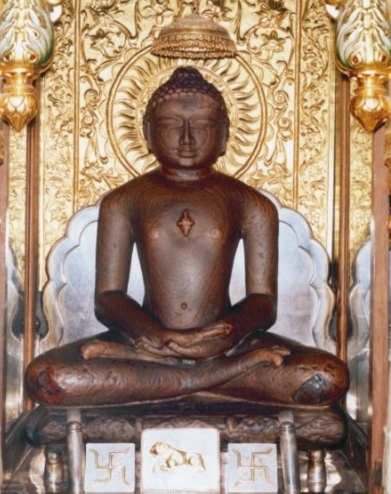 Jains from India and all over the world visit Pavapuri, the home town of Mahavira. 1st Batch for Kailash Mansarover despatched.